I am currently printing a product that consists of multiple pieces and I print 3 units at a time. I am also doing incremental improvements so some of the pieces are modified over time. 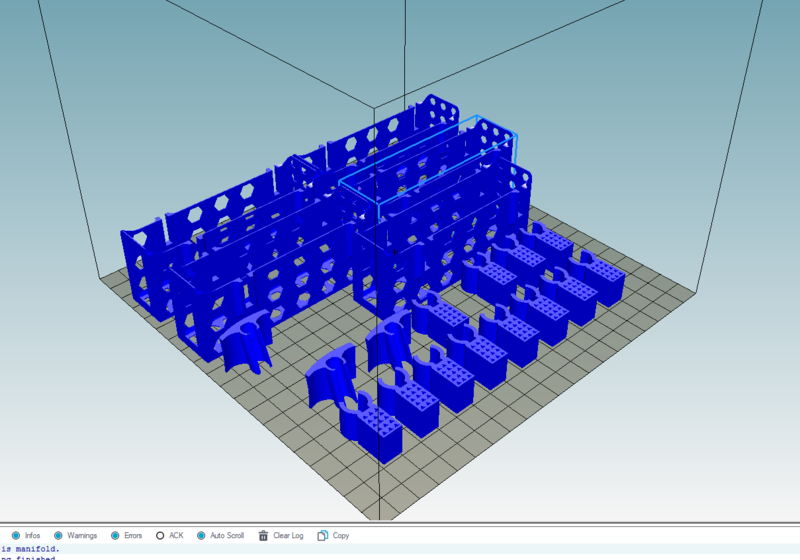 My question is, is there a way to create print layout, that points to an STL file and gets updated over time? Otherwise, every time I update some file, I need to recreate the layout, which is very time consuming. I have only recently found that I can save the layout as an STL, and then split the STL in objects, which is already pretty good, but the pointing to stl feature would be even better, does this exist? Yes, a better solution is to safe it as 3MF file. The format supports multiple objects so plate would not get split. If it does not work, please let me know so I can fix this for next update. Not sure if i tested this case.